Doctor Who: Big Finish - DOMAIN OF THE VOORD Review | Warped Factor - Words in the Key of Geek. Tony Fyler goes behind the mask. Domain of the Voord was the story that kicked off a new range from Big Finish audio to replace the longstanding and highly successful Companion Chronicles - the refocused, longer and more full-scope ‘Early Adventures.’ Given that the Companion Chronicles had been much-beloved and had been free to use companions from across the Classic era, it would need to pack a punch and a half to establish the new range, which by definition seems locked into the realms of, at most, the first two Doctors. You have to ask – who thought it would be a good idea to use the Voord for such a big initial release? If you’ve ever sat through the paid-by-the-episode puzzlefest that is The Keys of Marinus, you’ll know that the Voord cut quite a… well, let’s say, quite a 60s-budget early Who figure. Dressed in black rubber wetsuits, they come complete with flipper-feet and a helmet that’s half-Batman, half-Teletubby. Frightening, they are not, not really. A bit naff – yes. Welcome to the joy of the audio medium. In the audio medium, the Voord are not remotely naff. They’ve been re-imagined, entirely faithful to the original, but with backstory, purpose, motivations and above all, a psychological and philosophical position from which to become, potentially, a great audio monster. The man who looked at the Keys of Marinus Voord and thought ‘time to bring those bad boys in from the cold’ is none other than Andrew Smith of Full Circle fame, who seems to have taken as the basis of his Voord resurgence a comic strip which once had the Voord evolving over time to become the Cybermen. He stops short of completing that particular full circle here, but what he does is explain the culture of the Voord, the nature of their conquest and their unanimity – and like some of the greatest Who villains, it’s all to do with the mask – you can be born and raised in any culture, but if you take on the mask of the Voord, it will re-write you, and make you part of the Voord consciousness, ruthless, calculating, and indomitable. The twist which separates the Voord from the Cybermen here is that if you don’t absolutely want to become a Voord, the mask will reject you as impure, leaving you horribly scarred, your mind broken, a slave unfit to stand among the Voord. The running time of Domain of the Voord is over two hours, and it begins in typically Hartnellian fashion with the Tardis travelers landing on a ship. A ship, as it turns out, in a flotilla trying to evade an initially unknown enemy on the seas of the planet Hydra (a neat touch there, reminiscent of Terry Nation’s planets, being named after their chief characteristic). When the enemy is revealed as the Voord, the Tardis crew, while hardly relaxing, realise they could be of use to the locals in their battle against subjugation. But it quickly becomes clear that Yartek and the Marinus Voord were, as we the viewer sort of suspected, a bit of an embarrassment to Voordkind. The travelers are separated, with Ian and Susan saying with the flotilla after a Voord is captured, and Susan in particular trying to understand it. As the flotilla aims to reach Predora City – capital of the only landmass on the otherwise watery world of Hydra, a shocking truth becomes evident – with cunning like this, you could pit the Voord against the Daleks any day of the week. Be warned – some scenes in Domain of the Voord are shocking in their intensity, their brutality and the sheer visual – yes, visual – scope they deliver. The Voord en masse easily subjugating the populace of Hydra, the apparent evidence of the torture of prisoners, but most of all – very much most of all, the image and the explanation of the mask of the Voord, like the Evil Twin of Harry Potter’s Sorting Hat, coming down on hapless Hydrans, being used as a weapon in and of itself to enforce unanimity of thought or destroy those who would dare to stand against the Voord – including Susan herself. If you have any fingernails when you start listening to Domain of the Voord, that’s your own look-out – they’re not likely to survive the journey. The plot develops beyond the threat of the mask though – in true First Doctor style, there’s an enormous engine being constructed, which will render the subjugation of Hydra complete. The Doctor leads the attack on this engine, while to some extent, the Voord are allowed to take care of themselves – almost like the Ice Warriors, ‘true-blood’ Voord, original Voord if you like, are the commanders of the armies, and they have their own very moral code as to who gets to wear the mask and who doesn’t. When events on Hydra violate that code, the invasion force is fundamentally split, forcing a very 60s moral dilemma on the audience – victory at any cost, or victory while maintaining a hold on your own moral core? It’s a question that’s left uncomfortably unanswered by the end of the story, and it’s important to note that the Tardis crew here only lend a hand – the war for Hydra is still ongoing when they get back in their blue box and disappear, leaving the onward march of the Voord entirely ripe for future audio stories with a thoroughly redefined race of arch-villains from which, after this, it would be a pleasure to hear more. To launch The Early Stories, with their new long format and small but more substantial cast than the Companion Chronicles, Big Finish needed a belter. 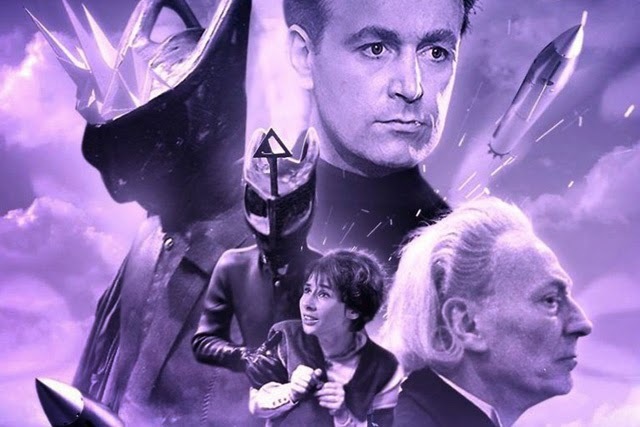 There’s some talk that the company’s first season of Survivors audios is even better, but the consensus in the world of the internet appears to be that in Domain of the Voord, Big Finish has delivered far above even the expectations of longstanding fans. 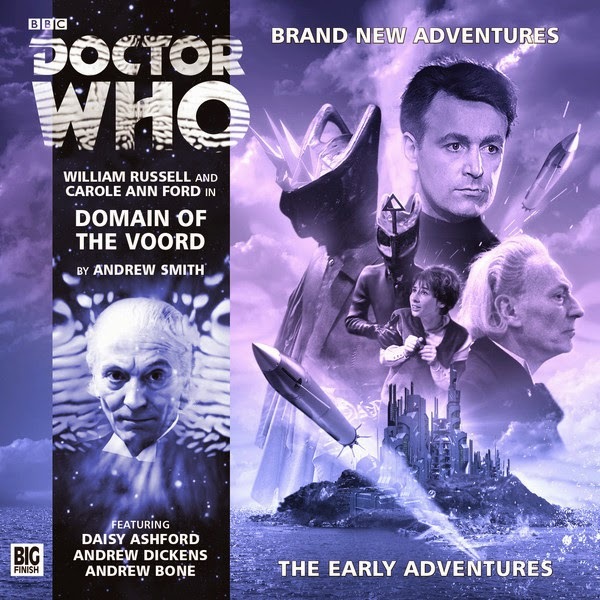 If you’re only going to get one Doctor Who audio release from 2014 – make it Domain of the Voord.